Bob Dylan is one of rock ‘n’ roll’s most profound visionaries, and also it’s great contrarian. He’ll celebrate his 70th birthday on May 24th. 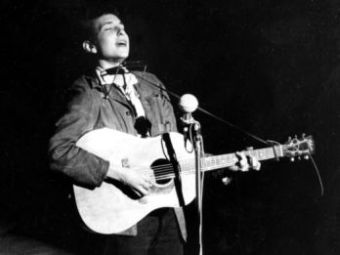 Veteran rock critics Greg Kot and Jim DeRogatis have spent decades covering Dylan’s massive and complicated body of work. And now they’ll debunk the myths and debate the highs and lows of Dylan’s most-well known and prolific period from unplugged to electric. The Sound Opinions hosts are joined by Dylan scholar Clinton Heylin and legendary musician and Dylan collaborator Al Kooper to talk about his development from a Greenwich Village folkie to a plugged in rocker. You’ll hear rare recordings and Kooper’s first-hand accounts of the infamous 1965 concert at the Newport Folk Festival and the Nashville recording sessions for Blonde on Blonde.